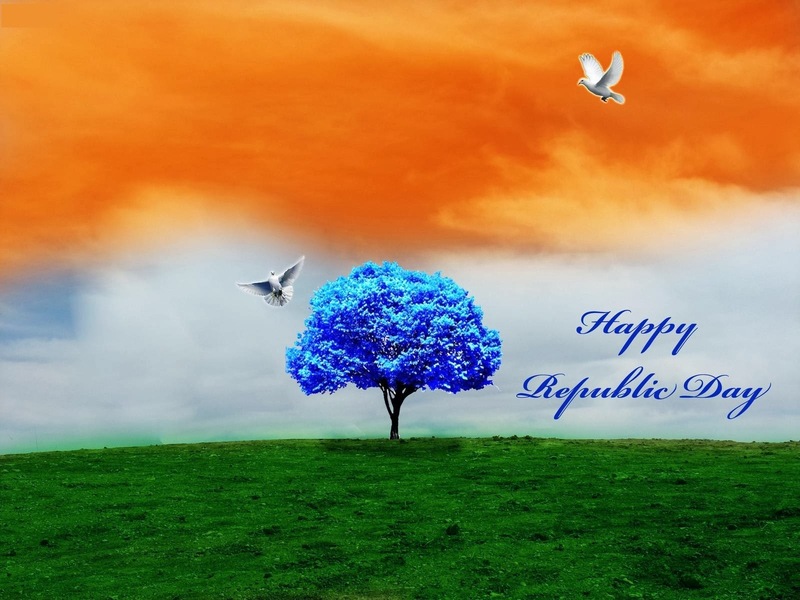 Republic Day – Just a Hashtag? It’s that time of the year again when Rajpath looks as fresh as a new bride and Rashtrapati Bhawan resplendent with the lights of glorious 67 years of a proud republic. India celebrates its 67th Republic Day! For many, it’s #thattimeoftheyear again, when the tricolour ensemble in their wardrobes sees light of the day; when VIP passes for the parade are more sought after than #OnePlusOne invites; when expensive Silks and Pashminas get ready to be flaunted by Mrs. Who’s Who at VIP pavilions of India Gate; when patriotic songs are remembered to be placed as caller tunes, when the boy on the traffic signal selling flags is finally granted his wish; when Selfie sticks get ready to give a perfect #SelfieWithTricolour & when our social media profiles get buzzing with #ILoveMyIndia! When I was still in school, my sister who was pursuing her journalism got an interesting assignment. They had to visit Republic Day Parade and informally ask spectators the reasons that drew them to Rajpath – was it patriotism or just a nice way of celebrating a day off? Republic day celebrations at school for me meant composing and reciting poems and speeches, which I couldn’t have done unless I felt it in me. So, I told my sister my predictions of the survey outcome. However, the results were a far cry from my expectations, for most people in general pavilions said they were there for the lovely tableau and flypast! Of Course, they were able to express themselves honestly in the absence of cameras and in the cover of anonymity. Well, this was years before mobile phones and social media were even born! It was a shock for me, the simple school kid, for we celebrated Independence Day, Republic Day, Freedom Fighter Birthdays etc with much enthusiasm in the innocent confines of our school! Ah! The good old #AgeOfInnocence! While last year saw us all swelling with pride at India’s #ObamaMoment, this year has been very different. Many words have been added to the common man’s vocabulary - #Intolerance, #Tolerance, #AwardWapsi, #GharWapsi, #Bigotry, #Casteism etc. I am a common man woman with limited vocabulary, so I only understand one word - #Insensitivity; towards each other, for only then could have people been so selfish to ignore welfare of others for their vested interests. From “Man is a social animal”, the social has been brutally eaten. Mind It! This isn’t something that has happened this year, we have witnessed enough of this before too and I have blogged about few instances of #Shamelessness that irked me (The Guest Who wasn't spared, Wake Up, One evening in an auto, Letter to Santa from a Delhi Girl, Love Thy Neighbour, Delhi Nautanki, Musings of an old Dilliwala) . For starters, insensitivity begins with people ignoring a dead man on Gurgaon Expressway and stopping only to capture his pics for their Facebook shares…#Shameless. Then there are people I have met during my weekend trips to Vrindavan who wouldn’t even care to donate had Section 80G of Income Tax Act not existed. Of course, good Samaritans walk this earth too, but the #SelfishnessAboveEverything still trends. Meanwhile, the #SelfieWithTriColour witnesses a new high score, as does visitors to India Gate & Central Park. I wonder where we are going wrong, for we are the lights that light up the nation. Big words are for big people. Confused between welfare of state and welfare of their vested interests, they are busy scoring points in the publicity match. Biting more than they can chew and then chewing their words hurriedly like a gum is their past time, which most commoners are too common to make sense of. For We, The people, it is as simple about #BeingSensitive; The Big people towards us and us towards each other. We are shouting to making ourselves heard amidst noise of their #TugOfWar. Still waiting to find your voice? Go, take a #SelfieWithTricolour and think about a genuine caption #Straightfromtheheart. Till about 3 pm the day before, All Was Well in my house. The little one was playfully engrossed in his toys; as was the newbie mom in her laptop. Then suddenly, one sneeze changed all dynamics! The little one sneezed with such a force that I left whatever I was doing. This wasn’t a normal sporadic sneeze; this one came with dirty souvenir for my little one that his newbie mom rushed to wipe. “Now how on earth did this happen?”, I pushed myself to think. 3 layer cloth – check, Cap - Check, Socks – Check, Cozy Room – check. We hadn’t even gone out in the garden that day! Then from where did this uninvited guest come? I immediately made a SOS call to my MIL and made notes so quick I had never made even during my college days! I have often heard elders criticize modern moms, who rush to the doctor at a sneeze of their little one. Not wanting to become one of them, I decided to try MIL’s advice, but it was just too much to possibly execute! By the time Mr. Hubby returned home (which was coincidentally early that day), little S and I looked like troubled passengers of a stranded flight. We both dashed to him for comfort. A sleepless night later, the next morning, we were sitting among many other coughing, sneezing little souls at the Paed’s clinic. Had someone from my parents or in-laws called, I would have sounded like a failure, for I had indeed rushed to the doctor at what was regarded technically as just few sneezes. Mr. Hubby however, convinced me that as educated, modern parents, we were indeed being proactive to take professional advice before the situation worsened. My triumphant smile died in the wake of this new addition to the to do’s. So I have to learn to get less paranoid. But C’mon, this is my baby & I am Mother India. Can you imagine Nirupa Roy, Durga Khote, Nargis, Achla Sachdev, Kirron Kher, Kamini Kaushal or any onscreen mom looking calm and composed when her Aankhon Ka Taara (Apple Of her Eyes) gets nebulized? But doctors only know the language of medicine, so it was futile to argue. We collected our medicines, paid the fee (for something which as per my dad, common sense and homeopathy would have cured) and came home as a happy and hopeful trio. A typical Mother India is ready to barter her child’s trouble for his happiness and well being. However, some wishes get granted too quickly, with the mother getting the trouble even before the child is fit and fine. By the next evening, another big “Acchhooooo” roared in the house, this time by the mother! Yes, my wish had been granted, but now both of us were the victims of cold, thanks to something called virus! Am I a melodramatic mom? Yes, in bold italics. But, somewhere behind layers of tension, concern and love lies just a simple compassionate new mom who wants to be somewhat as good as her own mom was. After all, every girl idolizes her mom for they stand like a rock between us and troubles even when we see tears of concern rolling down their cheeks. Leaving you with pics of these amazing onscreen moms we have grown up watching. My initial reaction was a mix of shock, anger and confusion, for I didn’t know whether to take it as a mere compliment or a backhanded compliment. Since I have a great rapport with her, I dismissed the latter option however, it was too thought provoking a remark to be forgotten. Being the youngest of four children in my family, altruism was always a distant concept. My wishes would literally get fulfilled before I even completed the sentence and the whole family doted on me. 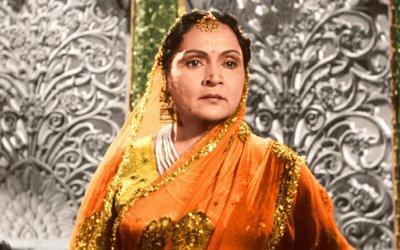 Since I was the first daughter in law of the family, the trend continued after wedding as well, as everyone showered me with gifts and attention. There are things I could never have compromised on – sleep, my blogging time, that favourite TV show and even my favourite dish. Many people close to me have been victims of my ire the few times they mistakenly disturbed me in the middle of writing a post. Mornings have something magical about them. No matter how low you might have felt the day before, morning is bound to bring freshness and positivity. They have the power to connect self with the inner self; the perfect time for meditation. No wonder you will find students waking up early mornings and study topics they find otherwise tough to comprehend. Fitness enthusiasts too find mornings the perfect time to rejuvenate the body and mind. Until recently, I wasn’t a morning person. I loved staying late till nights and enjoying my solace. Subsequently, mornings were limited to waking up with a start and managing to get ready for school or college just in time. I discovered the power of mornings few years ago when I went for a residential MBA. While our schedule was super hectic with us racing against submission deadlines, there were few who managed to keep their cool. There is more to life than just a good CGPA, and these people very well knew this. They spent early mornings to think about themselves, count their blessings, plan for the day ahead and take a step a day towards a healthy body and mind. It is always good to imbibe good things observed and that’s exactly what I did. The view of rising sun in the hills from my window just acted as a motivator. Waking up early and having a glass of warm water with lemon juice and honey is an excellent way to save the body of the toxin abuse throughout the day. It also ensures a good bowel movement and everyone knows the good it does to your skin! We might be full of excuses to escape the fitness routine, but half an hour is something each one of us can take out for a healthier us. Go out in nature and look at the rising sun. Listening to the message of nature can give such a feel good factor! We often rush into tea time or club it with newspaper. The next time, brew a nice aromatic tea and sit in peace, savouring each sip. Focus on the aroma and the freshness it infuses. Make the tea time a Me time, when you can plan things for the day and make small note. For most of us, brushing teeth is something often done in a hurry. The next time, you brush your teeth, think of it as cleansing time. With each stroke, you ward off the germs, negativity and lethargy and you will enjoy the brushing experience! The final cleanse takes away all germs and brings about a sense of freshness, just like the fresh morning. Use a good toothbrush that gives soft but thorough cleaning. 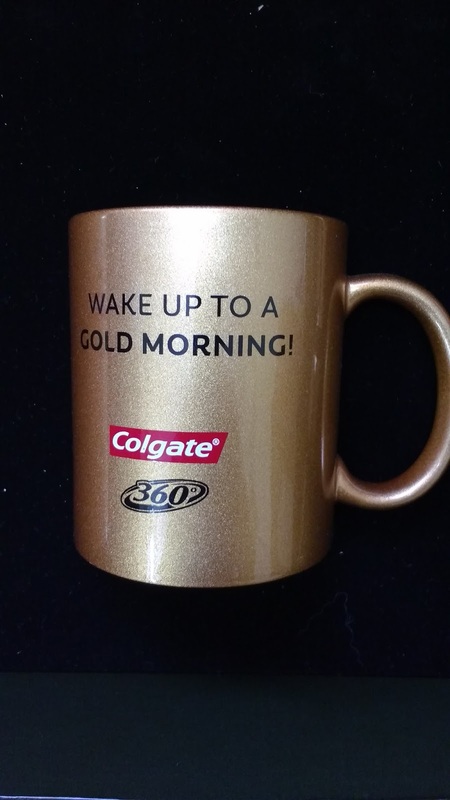 The new Colgate 3600 Charcoal Gold Toothbrush is an excellent choice to begin your mornings with, for it effectively cleans teeth, tongue, cheeks and gums. 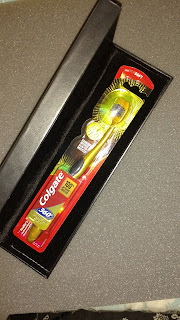 100% antigerm bristles fight germ growth on your brush for upto 90 days. The Charcoal infused slim tip bristles clean and remove stains. 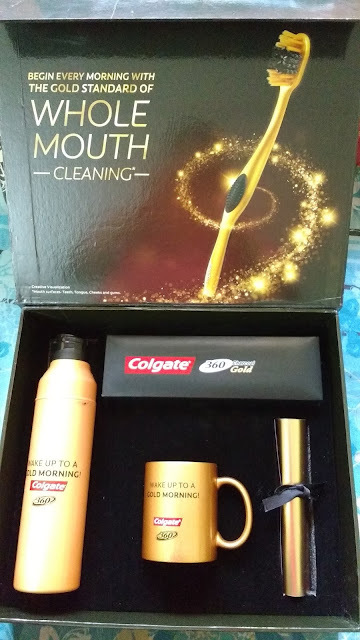 With 17 times slimmer tip bristles, Colgate3600 CharcoalGold Toothbrush reaches deeper in between teeth and along the gumline. So, tomorrow morning, don’t just wake up. Wake up to a Gold Morning! 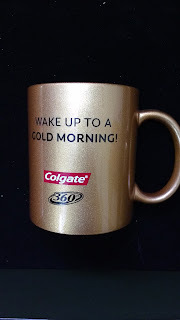 with #Colgate360GoldMornings. If there’s someone who’s company can never put you off, it is undoubtedly books. Awesome weather, a cup of ginger tea and a lovely book in hand make for a perfect afternoon date with self that I often pamper myself to. 2015 was a very different year though. I spent half of the year being pregnant. In between mood swings, morning sickness, office deadlines and housework, as energy levels dipped, reading too didn’t get the due time it should have got. I used to always think of the books I would read when I would be expecting, and had even made few reading wish lists. But what a boring life if everything goes as planned! I discovered parenting blogs and apps which they gave me access to a wide variety of information in much lesser time. Time check – 2 hours to go for IndiSpire topic to close! I just can't afford to miss writing about the books I so very enjoyed reading and sneaked out time for. Focus! So, without wasting time, here are the few books I read in 2015. The best part though about 2015 has been that I have been able to review ALL the books I read. 2015 began with romance. This is Shikha’s debut and she did a pretty good job at that. A Cinderella love story and a fairytale wedding that transforms into a nightmare, as quickly as it had blossomed! But then, how can a love story end on a revengeful note! Grab the book if you love RomComs and savor every page as if you are reading a story. 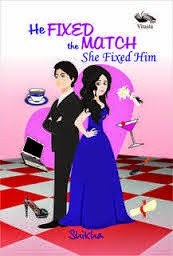 Read the complete review here – Book review – HeFixed the match, She fixed Him. Relationships are like butterflies, hold them tight and they suffocate to death; but give them space and see the beauty of their colors. That’s the very essence of this hilarious book that brings laughter, sympathy, humor, anger all at the same time. 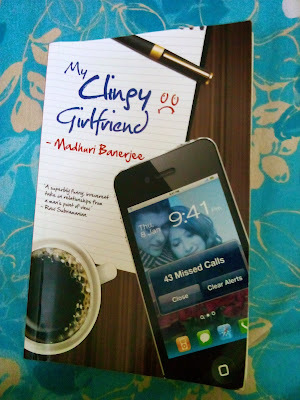 My Clingy girlfriend is a funny sad tale of a Bengali boy who is stuck between an over possessive girlfriend, office politics, useless friends and umpteen desires. At one point, it seems like a no escape situation for Obro. Grab the book to know whether he finally manages to get rid of the problems in his life and also, to read some very funny How To’s. A very interesting book penned by a woman, narrated from a man’s perspective. Does politics interest you, but not the biased approach of most authors and media persons? If so, The Mandate is the book I would recommend. 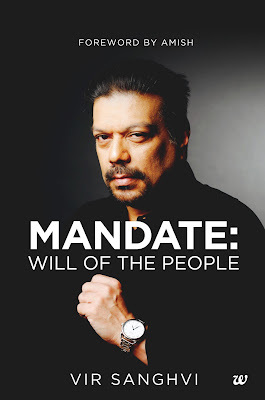 Mandate is simply a tale of Indian politics from 1970s to the early 2000s, sans views, opinions or unnecessary gyaan about its impact. And that’s the very beauty of this book. It’s a ready key to knowing the people, events and forces that contributed to the creation of the country we live in today. Since the book isn’t verbose or boring, it’s served best when enjoyed at a leisurely pace. As one progresses chapter by chapter, one comes across some very surprising facts about Indian politics that most of our generation wouldn’t have much idea about. A must read. This is not your typical boy-meets-girl book. Okay, they do meet, but there are some complications. That’s the essence of this romantic comedy by Yashodhara Lal. The book sails through on Yash’s ability to create characters and situations readers can totally relate to. Grab the book for a rather unusual account of the Boy-meet-girl story. TSAU will make you laugh, cry and think a lot about the uncertain thing called life and relationships. 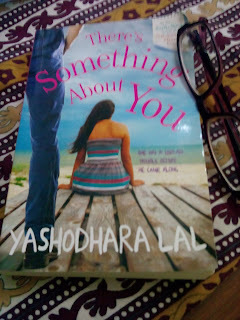 Read the complete review here – Book review – There’s something about you. We all know Pandavas as the perfect humans, Bhima being the perfect, sincere son, husband, father and brother. But he was after all a human! Having best of men as brothers and conflicting love interest can prove to be a tough situation even for toughest of men. And so, our macho hero too, felt like a man in shadows. 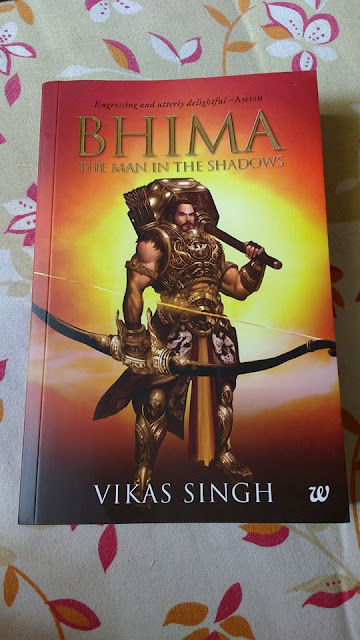 The book tries to capture an aspect of Mahabharat that no one has attempted to touch upon before – Mahabharat from Bhima’s perspective. It is a herculean task to capture all the important aspects of a story like Mahabharat, but the author’s attempt is commendable. The year ended on this awesome book that kept me hooked on! Ravi Subramanian’s books have always been treat reads. I had thoroughly enjoyed reviewing his last book, God is a Gamer. So, when I came to know he is foraying into the genre of romance, it was a pleasant surprise! When it comes to romance, Indian writers usually fall prey to predictable storylines and I wondered how different Ravi’s book would be. However, having read the book, I can confidently say that not only has he successfully penned a bestseller, but has integrated his signature style of thrill and suspense into romance! 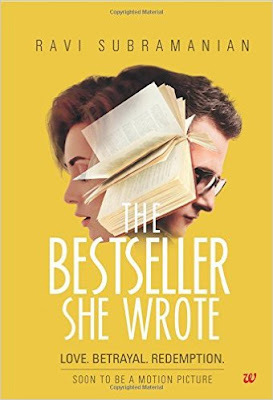 Read the complete review here – Book Review – The Bestseller She Wrote. 2015 has been a year of fiction. Hope to read a lot more of that and dive into many more genres in 2016! Happy New Year! The first time I looked at her, I just kept looking for few seconds with eyes wide open. There wasn’t anything extraordinary about her. Spotless white uniform, grey hair neatly tied into a bun, a simple look with not even a trace of makeup, yet she looked graceful and radiant in her own right. 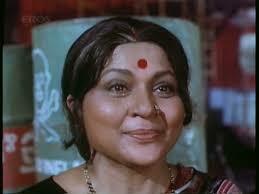 She was the lady traffic controller at the traffic signal near my office. We had recently relocated from Delhi to Mumbai. I was anyway dealing with a sea of cultural change; however, a lady traffic controller was a sight I don’t remember having witnessed in Delhi. The first day I saw her, I called up my husband after reaching office.“You know what, they have lady traffic controllers here!” I told him with enthusiasm and surprise. He seemed equally surprised. We briefly discussed how it would be if we started having the same in Delhi. Delhi is already known to be very unsafe for women and almost every rash driver has his HiFi links protecting him. Even if they have women traffic controllers in Delhi, I wonder if people would let them do their work in peace. Being born and brought up in Delhi, I knew that women traffic controllers would just become new eye candies and who knows the brats would break rules just to strike a conversation with a good looking lady traffic controller. I thought of telling her this and asking about her opinion, perhaps know more about her and how she manages this predominantly men’s job. But, fearing that she might get offended, I decided to stay mum. Few months passed like that. She became a part of my daily commute to work and often, when I crossed the signal on foot, I gave her a smile which she promptly reciprocated. My appreciation for her grew more on a particular morning when the signal lights stopped working due to some technical default. Her male colleague might have gone to check the matter as she was alone. There she was, managing a chaotic and busy traffic signal, sans traffic lights all by herself, that too during peak office hours! For a moment, I stood nearby, impressed by the discipline she maintained, for not even a single person dared disobey her orders. I was in my 8th month of pregnancy when I finally had a chance for a tete a tete with her. She used to notice me cross the signal with a huge baby bump every morning and often, ensured I crossed the road before she let the traffic open. One afternoon as I was out for a stroll post lunch, luckily she was on a break while her male colleagues were managing the traffic. Not wasting a moment, I walked up to her and appreciated her for the good work. 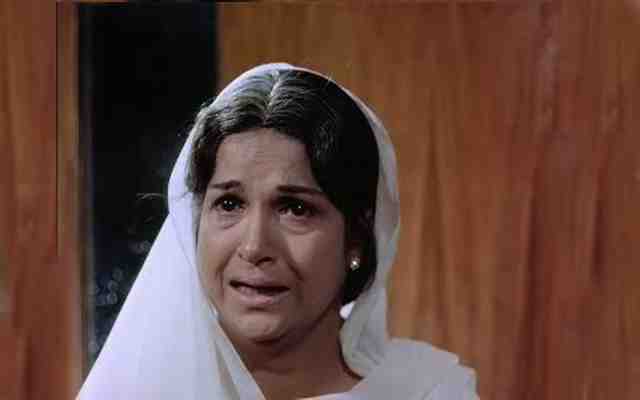 “Madam, main to bas meri duty karti hai” (Madam, I just do my duty) was all she said with a smile. I then told her I was from Delhi, the safety concerns of women there and what would happen if women started manning traffic signals there. She listened to me with a smile, and then told me that in her tenure of 11 years, not even once had she faced any trouble for being a woman – something that increased my respect and appreciation for the people of Mumbai. A mother of 2, Durga (name changed) came from a humble background. The sole breadwinner of their family, her husband had succumbed to a road accident. Burdened by financial troubles, this mother of 2 decided to maintain her dignity and raise her children on her own sans any financial help from her parents. Choosing this profession was more of a personal choice, since Durga wanted to ensure no more lives are lost to violation of traffic rules. But it wasn’t a cakewalk for her. Long hours of strenuous duty left her completely drained. By the time she reached home, there was a pile of housework waiting for her attention. Since those were crucial career years for her daughter, she didn’t want to burden her with house work and somehow managed everything by herself. However, her colleagues were more than happy to help. After all, God helps those who help themselves. The male colleagues deployed with her often swapped places when she appeared tired and let her take breaks. Also, the wife of a colleague staying nearby offered to help the kids with their studies by charging a nominal fee for tuition. For Durga, a headstrong woman with oodles of dignity, a complete waiver would have anyways been unacceptable. Today, her daughter is studying in college and her son is preparing for IIT entrance exam, she tells me with a proud smile. Not all people come triumphant from adversities of life. Women like Durga command even a higher respect. In a situation where an ordinary woman would have gone blank with shock, she thought of taking it on herself to erase the cause that not only took away her husband, but also poses a threat to other lives. For me, she is no less than goddess Durga herself, with her many hands managing many responsibilities, and ensuring that the good wins over the evil. On my maternity break now, I can’t wait to meet Durga again and tell her how she continues to inspire me everyday! There’s a famous quote “The world is a book, and those who do not travel read only one page.” True to these words, my hubby and I are passionate about travelling. Be it a long weekend or festive offs, we are off the beaten road, exploring new destinations. Road trips give us that adrenaline rush, Delhi-Mumbai and Delhi-Kedarnath base camp being some of our memorable road trips. But what happens when an avid traveller is kept away from her passion? Well, she feels like a sick person. Exactly that’s how I felt when I became pregnant. We had recently relocated from Delhi to Mumbai and had not spared even a single long weekend to explore the lovely getaways around Mumbai. However, the moment I made that call to my parents and in laws to give the good news, the first advice, rather order from them was, “Now apply brakes on your travel and relax at home for nine months.” Relax at home! But setting out off the beaten path was our way of relaxing, away from the maddening rush of the city! Did pregnancy stop me from enjoying travel? The answer is a big NO! Pregnancy is not a disease. I did two solo air travels during pregnancy – first, shortly after I discovered I had conceived, and the second in 7th month.